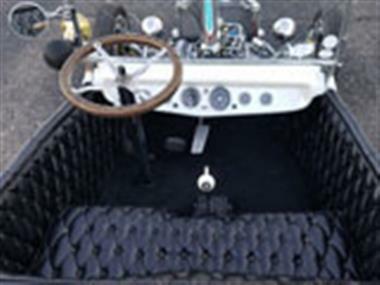 1923 Ford T-bucket in Rochester, MN for sale. Ford T-Bucket. 1923 Ford T-Bucket Show Car. Bitchin survivor from the early 70s that shows excellent! 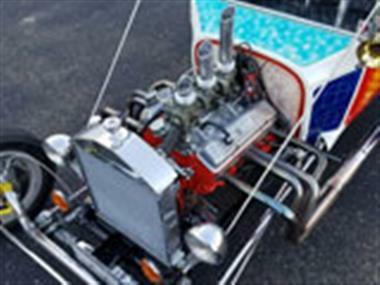 Built 400 sbc with Tri-power set up and other performance goodies, 4 speed, 4.10 Posi Rear, Hurst air-heart brakes, new Aluminum Radiator, Spindle Mount Magnesium 10 Spoke front wheels, Aluminum Slots Rear Wheels, Vintage Stewart Warner gauges, Electric Fuel Pump, Tach drive distributor, Rare early built Side arm Steering, Original Diamond Tuff Interior, Original 70s Psychedelic Paint, Tons of Chrome This car is a EXTREMELY WELL KEPT TRUE SURVIVOR from the early 70s, Its a former ISCA show car wearing 100% of its original paint that still shows great, True period correct vintage Hot Rod not a P.O.S cookie cutter. This car gets the looks and is a blast to drive and is extremely fast and ready to show! Fly in and drive home needs nothing. 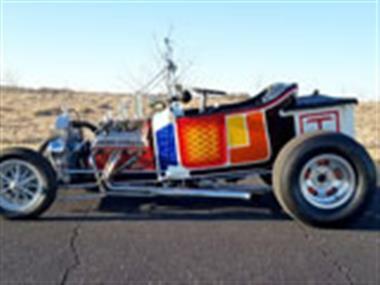 This vehicle is priced $4,863 less than the Average Market Price of $19,763 for a 1923 Ford T-bucket. This is a Good Deal as it's priced 25.0 % below market avg. The Pie chart below shows the number of ads within different price ranges.